WHETHER YOU ASPIRE to amass millions of frequent-flyer mile points or just want a rock-solid credit card that offers plenty of travel perks and flexibility, there’s a card that suits your needs and ambitions. But frequent-flyer miles just scratch the surface of what business travel cards really offer. 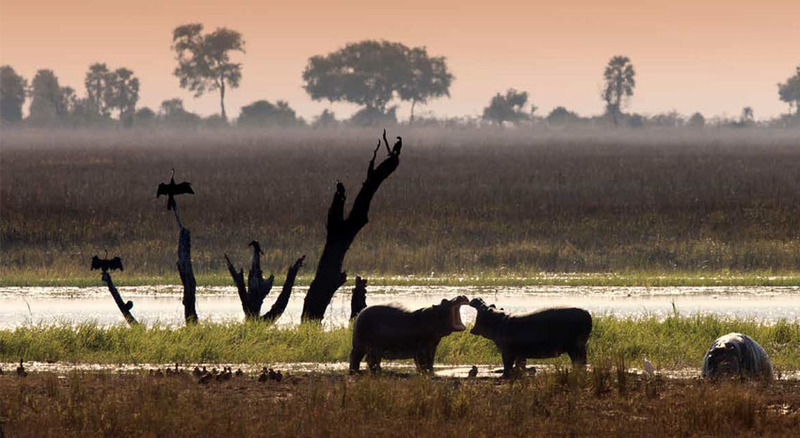 Airport lounge access, free companion tickets, free upgrades, free bag checks, no foreign transaction fees and priority boarding are just a few ways to win with travel credit cards. Too many choices are usually more of an issue than not enough. Narrowing down the right card to fit both your business and personal needs can present a challenge for even seasoned travelers. With reward points and travel perks in mind, here are some of the best credit cards for travelers for 2019. PERFECT FOR BIG SPENDERS who want to quickly rack up reward points, the Business Platinum Card from American Express OPEN offers 50 percent points on purchases of $5,000 or more. But it also offers 35 percent of your points back when used on qualified flights. There’s also a $200 airline fee credit and an annual $200 baggage fee credit good on the use of a single airline. That kind of perk works well for travelers accustomed to flying the same airline for business and pleasure. 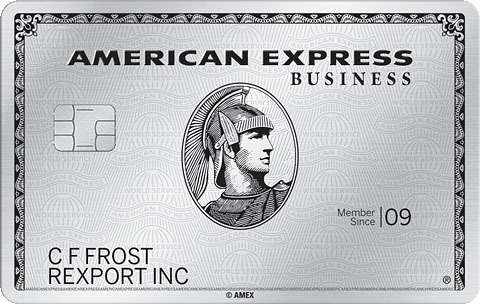 Although Amex currently offers a signup bonus of up to 75,000 rewards points after qualifying purchases, travelers love the card’s free access to the Centurion Lounge and The International American Express Lounge. And to sweeten the deal when traveling, this card also offers five times the rewards points on flights and prepaid hotels on amextravel.com. THERE’S A GOOD REASON American Express makes it onto so many lists of coveted travel credit cards. 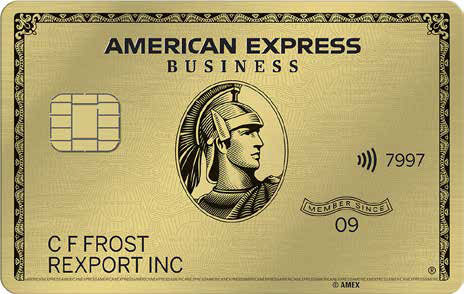 With the recently launched Business Gold Card from American Express, travelers automatically earn four times rewards points on the top two of six named categories where their business spends the most each billing cycle, on the first $150,000 each calendar year. Other purchases not on the category list earn one times the point. In addition, card members get a 25 percent airline bonus on qualifying airline purchases booked using Membership Rewards Pay with Points through American Express Travel, getting up to 250,000 points back per calendar year with this benefit. Although Business Gold has an annual fee of $295, it provides access to a suite of solutions and a built-in Pay Over Time with interest feature, providing business owners tools for managing cash flow and taking advantage of unique, limited-time offers from G Suite by Google Cloud and ZipRecruiter. Businesses can also maximize rewards with employee cards, earning the same four times points on employee cards as they do on their own card, with the security of employee controls to help manage spending and account activity in real time. IT’S HARD TO BEAT THE 80,000 bonus points after spending $5,000 on purchases in the first three months of opening a Chase Ink Business Preferred Credit Card. But travelers can also earn three times per dollar on the first $150,000 spent on combined purchases that can range from travel, shipping, internet, cable and phone to costs associated with running a business, like advertising on social media. Although you can redeem points for things like cash or gift cards, travelers would be wise to save them for travel bucket-list adventures. 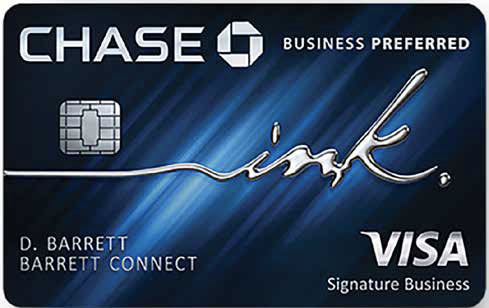 Ink Business Preferred offers 25 percent more in travel redemption when redeeming through Chase Ultimate Rewards. Ultimately, that makes those 80,000 points worth $1,000 toward travel. Beyond all the points, Ink also extends no foreign transaction fees on purchases made overseas. STARWOOD MAKES THE LIST for both best personal travel credit card and business, but the latter earns a bigger signup bonus and points for each dollar spent. With the Starwood Preferred Guest Business Credit Card from American Express, business travelers can amass up to 100,000 in bonus points after spending $5,000 in purchases in the first three months of card membership. There is also a waived annual fee the first year. 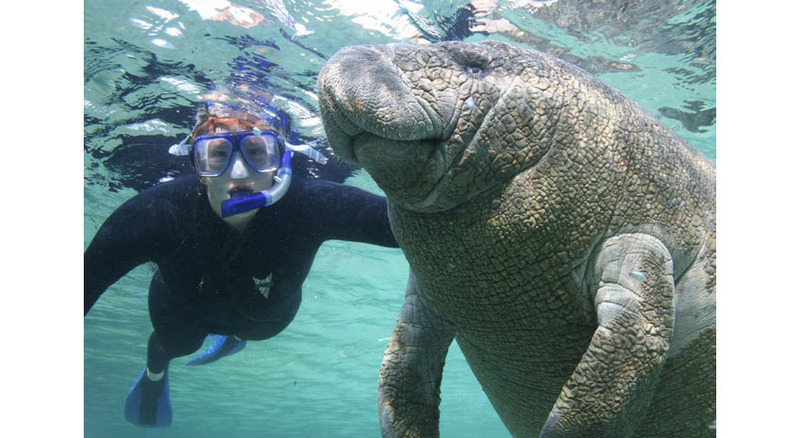 But Starwood also offers ongoing perks like four times the points in select business and travel categories, free night awards and complimentary Silver elite status. 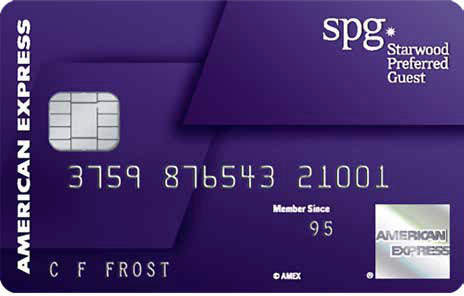 And when travelers use the card for participating SPG and Marriott Rewards hotels, they earn six times the points. Cardholders can earn lots of travel points through Starwood, but travelers also see perks like premium on-property internet access and Boingo WiFi at more than a million hotspots worldwide, making it easier to work on the road. 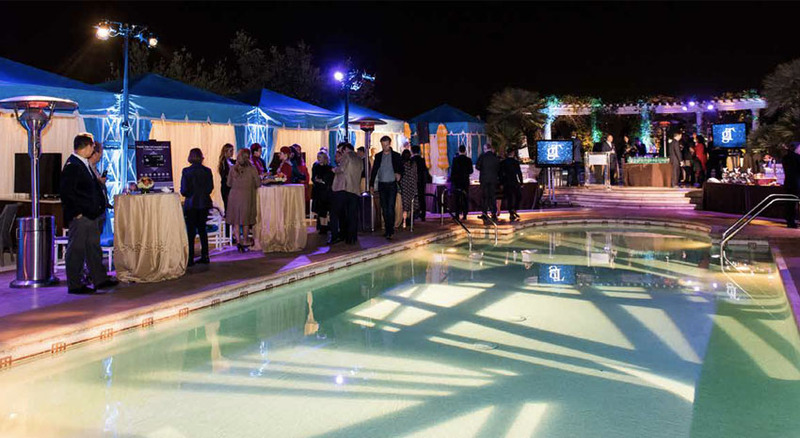 The details of the co-branded cards from Marriott International, including this one, may change as more details about the merged Marriott Rewards, Starwood Preferred Guest and The Ritz-Carlton Rewards programs come to light this month. WHEN IT COMES TO AIRLINE co-branded credit cards, there’s a bounty available on the market. 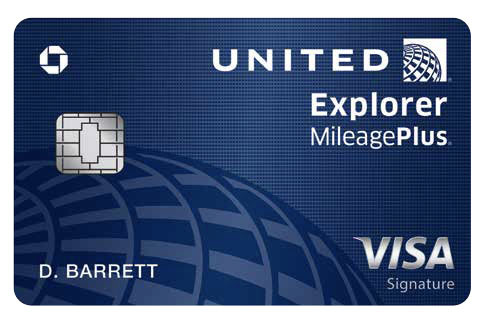 Chase Bank Credit Cards and United Airlines recently revamped the United Explorer Card, and it’s better than ever, offering two miles per $1 spent on United purchases, at restaurants and on hotel accommodations purchased directly with the hotel. The card’s business version includes a 10,000- mile bonus after you reach $25,000 in purchases. 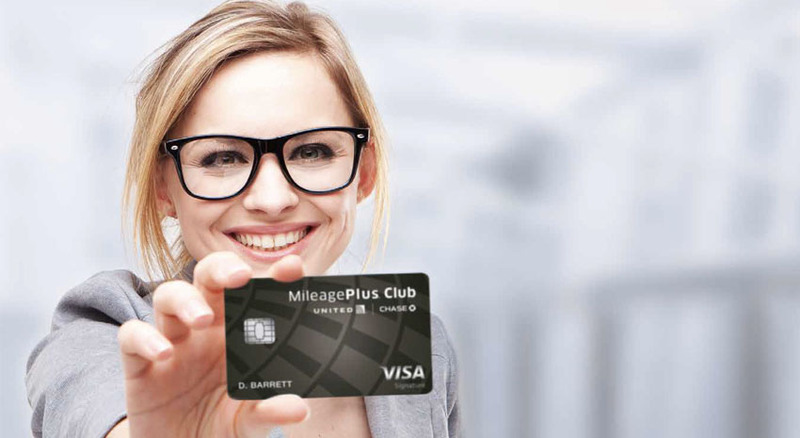 United frequent flyers may also be interested in the United MileagePlus Club Card. 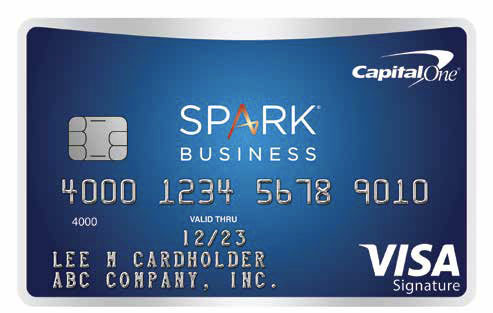 LIKE MOST OF THE CARDS on this list, the Capital One Spark Miles for Business card extends a generous 50,000-mile bonus that equals $500 worth of travel. The required spend is a bit higher at $4,500 within three months of account opening. But it also offers unlimited two times the miles on all purchases without blackouts or seat restrictions, and no minimum to redeem. This comes in handy if you just have a handful of points left over and want to apply them toward a gift card or cash out for the quarter. Spark also boasts flexibility with the ability to redeem on any airline, hotel or vacation packages without worrying about expiration dates for your points. There’s also zero fraud liability if your card is lost or stolen and free employee cards to earn even more on purchases. ALTHOUGH THERE ARE LOTS of valuable business-focused credit cards, plenty of cards also cater to everyone, no matter the purpose of their travel. 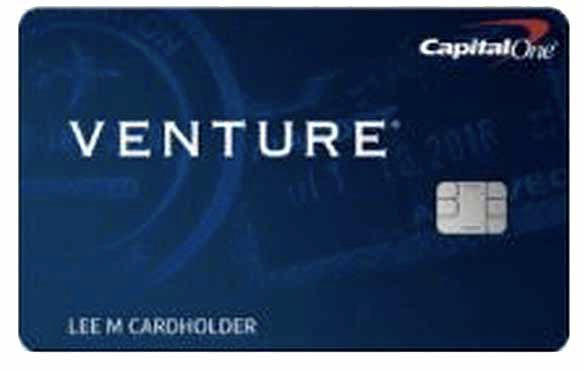 The Capital One Venture card rewards travelers with a flexible, straightforward way to earn and redeem miles. Travelers get a 50,000-mile bonus kickoff when opening their account and earn two times the miles on every purchase. Avid travelers will love the 10 times the miles on thousands of hotels, with the ability to redeem points for any airline or hotel without blackout dates. With global travelers in mind, the Venture card also waives foreign transaction fees and the annual fee for the first year. But unlike many of the other travel credit cards on this list, the Venture One card reimburses your application fee of up to $100 for Global Entry or TSA PreCheck. And whether you’re using the card for personal or business expenses, Venture One also offers extended warranty protection on eligible items purchased with your card. WHETHER YOU’RE A BUSINESS traveler or are just looking to travel more, Chase Sapphire Preferred offers a valuable and user-friendly card with plenty of perks. Users earn 50,000 bonus points after spending $4,000 in purchases in the first three months. Redeeming the bonus points breaks down to $625 for airfare or hotels and $500 if you take the cash option. 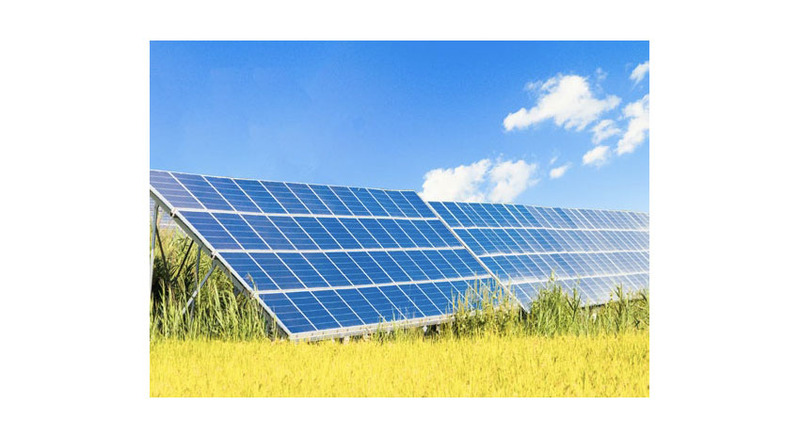 This is also a quality card for travel expenses and will earn two times the points on travel, from airfare and hotels to taxis and trains, and three times the points on airfare booked directly with airlines. While you’re on the road, swipe your card at restaurants for two times the points. PERKS AND SIGNUP BONUSES for travel credit cards can change, so be sure to read the fine print or pick up the phone and call a representative to walk you through your options. Once you settle on a card (or several), you can start earning your way toward free travel and lots of perks of your own.